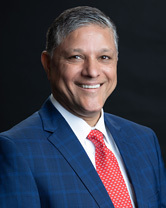 Manish Shah is responsible for information systems and advanced technology to support the company’s clinical, financial and administrative operations. He joined the organization in 2013 as Deputy CIO. From 2011 to 2013, he was senior vice president at Aurora Health Care, a large healthcare system in Wisconsin, where he oversaw technology design, implementation and operations. Prior roles include information technology leadership positions at SymphonyIRI and Caremark Rx. Shah was named one of Computerworld‘s Premier 100 IT Leaders in 2010. He holds a master’s degree in Business Administration from the Illinois Institute of Technology and a master’s in Information Technology from Roosevelt University, both located in Illinois.